Consumerism has become the cornerstone of the post-industrial age. Yet how much do we know about it and what it is doing to us? 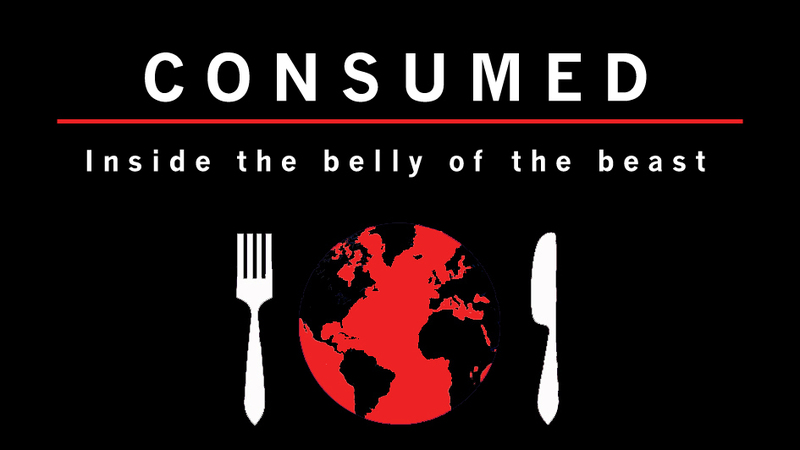 Using theories of evolutionary psychology to underpin a bold narrative of our times, this film takes a whirlwind tour through the "weird mental illness of consumerism", showing how our insatiable appetite has driven us into "the jaws of the beast". Both an apocalyptic and redemptive view of the human condition. "By the age of 20, the average westerner has seen one million commercial messages." With this kind of exposure, it is impossible to live in the modern world without being a product of consumer society. Now psychologists, like Geoffrey Miller, are saying that it is distorting the way we interact with the world and each other: "We've all kind of gone collectively psychotic". Evolutionary theory says we are indistinct from animals and so have two primary subconscious motives: survival and attracting a mate. As modern society has taken care of our survival, "we spend more time thinking about social and sexual issues than any animal has had the luxury of doing in the history of life on Earth". According to scientists this has led to an obsession with 'prestige' or our rank in society, something that in consumer society has become synonymous with consumption. "The principal way you're supposed to display your mental traits now is through your purchases." Manipulating our innermost impulses, capitalism has begun to not only reflect our evolutionary tendencies but also to amplify and distort them. Creating an environment in which consumption takes the place of traditional human interaction, "consumers are neglecting to develop the crucial naturally romantic traits, saying instead, 'I've got a Porsche out front'". Yet this capitalist system, which fits so neatly with our animalistic traits, is not making us happy. One of the great conundrums is that in an age of plenty, addictions, depression and mental health issues are becoming part of everyday conversation. The obsession with our place in society has led us to, "squander this golden age on silly anxieties." In the long term the individual and psychological cost of modern culture is relatively small. The environmental cost on the other hand could ultimately destroy life, as we know it. "It's becoming increasingly clear that the kind of growth rates that we are getting around the world are not sustainable", says Tim Cooper, a professor of Sustainable Design and Consumption. Measures taken to try and mitigate the impact of modern life, such as transition towns, recycling, alternative power and enduring design are not dealing with the root cause, only attacking symptoms. So for the moment we must endure this strange society that is making us all so unhappy. Our only hope is that it may only be a temporary illness: "I actually think runaway consumerism is a temporary historical glitch. I think we'll grow out of it." 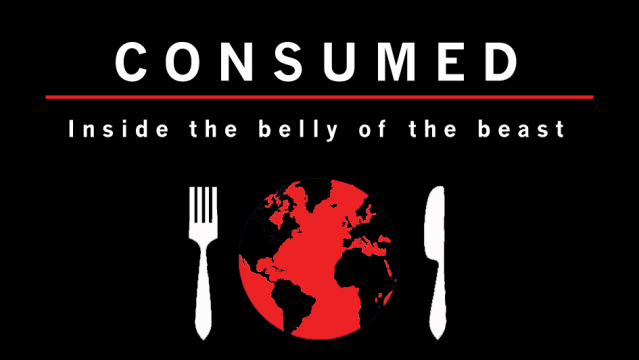 Exploring how human psychology has moulded the society that is slowly destroying the world and us, 'Consumed' takes us inside both the apocalyptic and redemptive sides of the human condition. Richard Heap started out making climbing films, most niche and hard-core but one also for C4. By 2003 he was in the high Himalaya looking at glacial lakes that were forming as a consequence of climate change. This was for the United Nations. 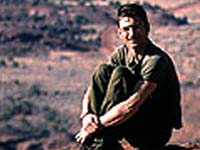 Over the years he won 20 awards on the International Mountain Film Festival circuit. More recently he has made a couple of docs for the BBC, one of which was nominated in the prestigious 2010 Grierson awards. All his films are infused with an independent sensibility. Not long after my daughter was born I realised that if she lived as long as my Nan she would live to the year 2100. Immediately I was struck by the thought of what the world would be like that far in the future. Using this as a jumping off point a journalist friend, Ed Douglas, and I soon realised that whatever 2100 looked like it would most certainly reflect the vagaries of the human mind. So began the making of this film.